Alessi held a preview of its new wares for spring and summer of 2013 at its San Francisco showroom. Standouts include a multi-faceted stainless steel centerpiece, condiment servers by architect Peter Zumthor, and a playful pencil sharpener. Here we share nine Dwell favorites. Alessi continues its foray into small home furnishings with the CrissCross basket by Eero Aarnio. The lightweight aluminum storage piece comes in black or silver. The multi-faceted stainless steel Joy n.1 centerpiece by Claudia Raimondo. We loved the Kastor pencil sharpener by Rodrigo Torres, the designer who created Alessi's Chip paper clip holder. Stainless steel fruit bowls by Pierre Charpin. The Tower series of measuring cups by Monica Förster stacks or nests. The U.S. version of the cups will be out at the end of the year. This set of condiment servers by architect Peter Zumthor is rendered in frosted glass and stainless steel. Acquerello bowls by Guido Venturini bring a bit of color to Alessi's traditionally white palette of tableware. 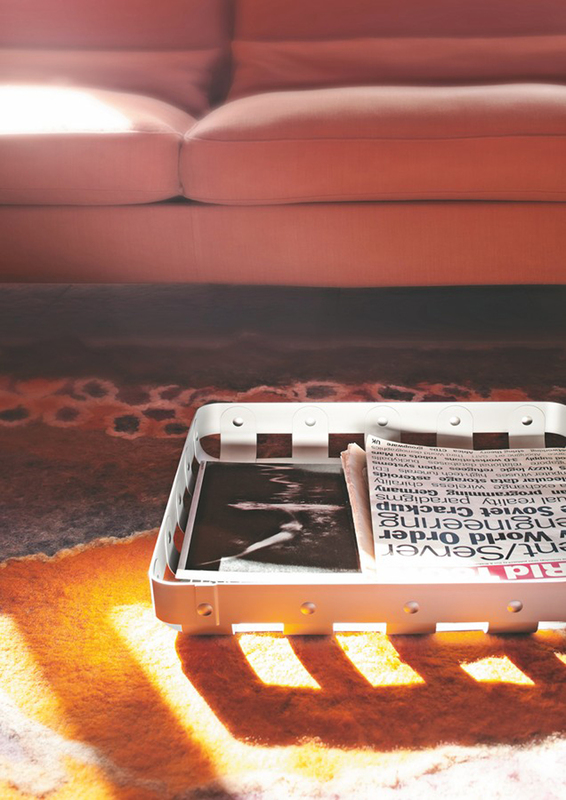 The two-part Pick-Up table by Jakob Wagner features a removable storage basket. The Duck Timer by Eero Aarnio is a bright new kitchen accessory.